Are you looking for a creative way to captivate your family’s interest whenever you gather with them to discuss God’s Word? Do you pray that your kids will become so enthralled with the Bible stories they are learning that they will begin to embrace biblical visionaries like Abraham, Joseph, and Daniel as their spiritual superheroes and turn to Mary, Ruth, and Esther as role models for their faith? If so, try the art of masterful storytelling! In a ministerial context, masterful storytelling is the art of making Bible stories and characters come to life so that we can effectively communicate essential spiritual truths to people who might otherwise not hear them. As parents, we already have basic skills in biblical storytelling, whether we realize it or not. 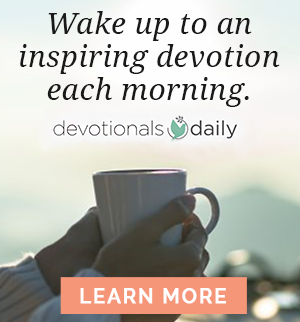 As we read to our children and share God’s love with them day in and day out, we become experienced at communicating foundational Bible stories and essential spiritual truths in a way that captivates listeners with limited attention spans. Now, let’s cultivate these skills and use them with intentionality. Let’s look for opportunities to weave them into our daily conversations whenever an appropriate opening presents itself! No matter where God places us– whether we spend our days caring for young kids, tending to rebellious teenagers, working with frazzled parents or assisting senior citizens – we are surrounded by people who long to hear a story that will transform their lives. So, instead of emulating the world and tickling the ears of those around us with small talk and the latest news stories and gossip, we can bless others by ministering to their spiritual needs. 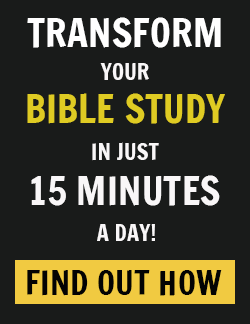 Let’s take this to heart by sharing the life-changing stories of the Bible and presenting the spiritual truths contained within them in compelling and relatable ways! Here are some tips to help you take your biblical storytelling skills to the next level. What types of problems do they have? How does God fit into this story? What details in this story jump out at you? What details in this story are you noticing for the first time? Which characters do you relate to the most and why? Are there any questions or concerns that this story raises for you? What lessons can you learn from this story and apply in your life? Finally, as you work your way through the different stories of the Bible, look for the over-arching, connecting threads and themes that tie them together. 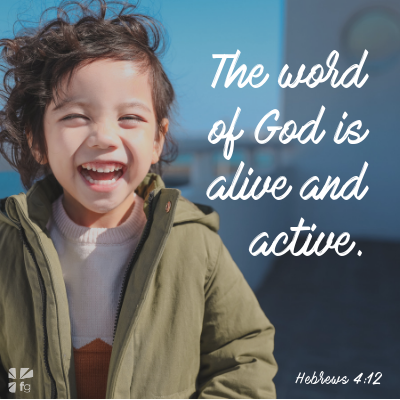 Remember to communicate to your kids and whoever else you are sharing with that each Bible story is ultimately part of an over-arching larger story about God – and that we are a part of God’s story also! Recently, a friend asked if I knew of a good children’s Bible that he could share with his niece and nephew during family visits. The Tiny Truths Illustrated Bible is the perfect book to help your favorite Bible stories come alive to the youngsters in your life. It’s also the perfect book to illustrate some of the masterful Bible storytelling principles we’ve been talking about! The Tiny Truths Illustrated Bible uses whimsical illustrations featuring diversely represented characters to present all of the key stories from the Old and New Testaments in a joyful and memorable way. Each story introduces the most important ideas and characters of the Bible to our kids while making it clear that each of these stories fits together to tell one big story – the story of God’s abundant love for His children! The Tiny Truths Illustrated Bible will brighten your home, lighten your spirits, and help you to understand the power of masterful storytelling! What is your favorite Bible story and what life lesson have you learned from it? Please share your thoughts in the comments!